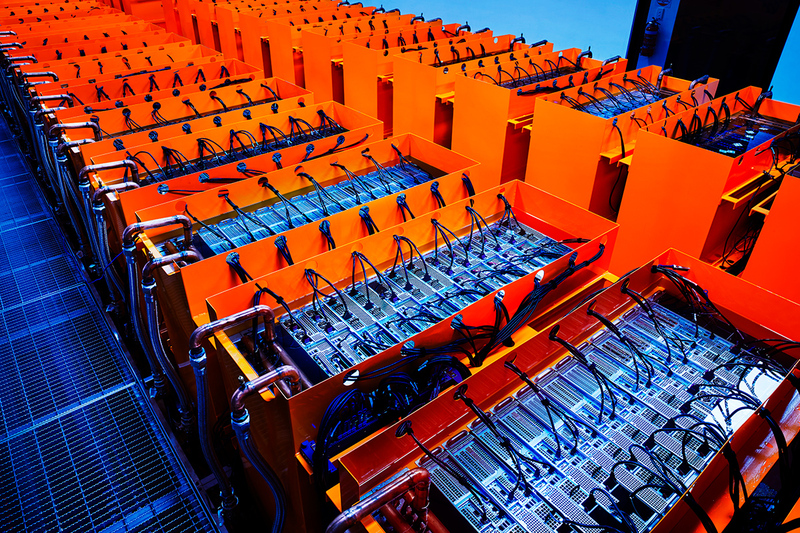 The data centre cooling solution that’s cooling the planet, one server at a time. Seismic data processing is one of the biggest users of computer power on earth. To provide its services to the industry, DUG has invested in one of the largest supercomputer networks in the world, with data centres in Perth, Houston, London and Kuala Lumpur. DUG’s four data centres have been recently upgraded and DUG’s global compute power now exceeds 50 PF. Not surprisingly, supercomputers of this size generate considerable heat and require efficient cooling technology. Installations such as these are traditionally air-cooled, which is inefficient, expensive, and environmentally unfriendly. 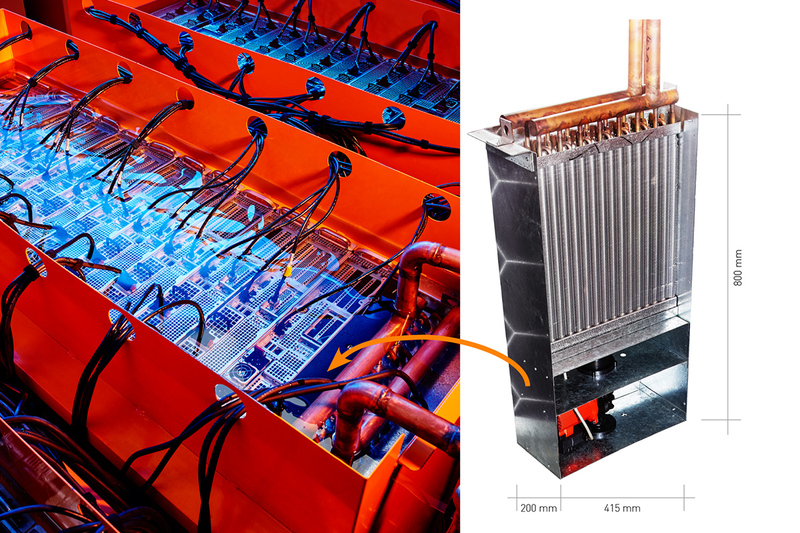 DUG has developed (Patent Publication WA 2017/091862 A1) an advanced, flexible, and modular dielectric-fluid cooling solution which greatly reduces energy usage and costs and increases the life and efficiency of the hardware. DUG now boasts some of the greenest computer centres in the world. The cooling system fully submerges standard, high-performance computing (HPC) servers into specially-designed tanks that are filled with polyalphaolefin dielectric fluid. The fluid is non-toxic, non-flammable, biodegradable, non-polar, has low viscosity, and most importantly, will not conduct electricity. The unique part of this design is that the heat exchangers are very simple and submerged in the tank with the computer equipment, meaning that no dielectric fluid ever leaves the tank. A water loop runs through the rooms and to each heat exchanger. A combined energy cost savings of up to 45% mean that DUG is able to build the largest supercomputing systems in the world with a PUE of under 1.04. Traditionally, companies like DUG spend half of their revenue on their compute centres. 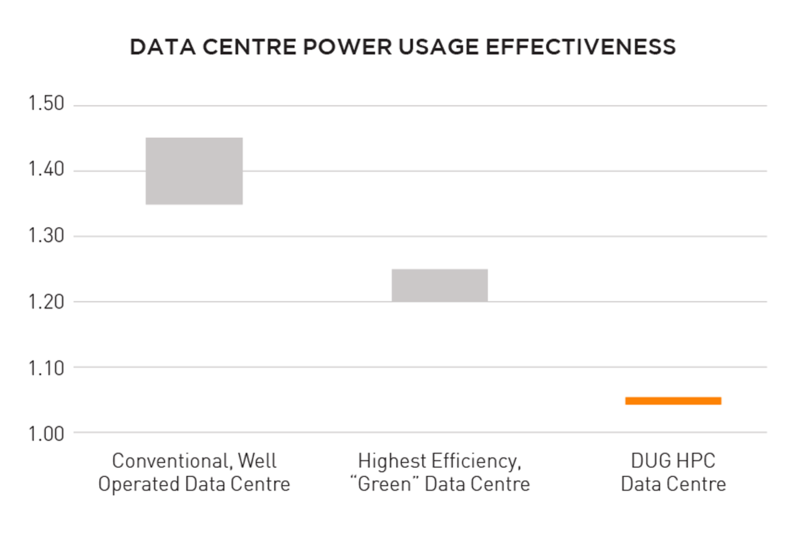 Energy use can be a significant expense in a conventional data centre. With DUG Cool, the thermal qualities of the fluid mean that condensed water-cooling chillers can be used rather than refrigeration. This saves 25%-30% of total power usage. Removing all server fans, which aren’t needed in a fluid-immersion system, reduces power consumption by a further 20%. That’s a total saving of up to 45%. Submerging computers into dielectric fluid has some surprising advantages. 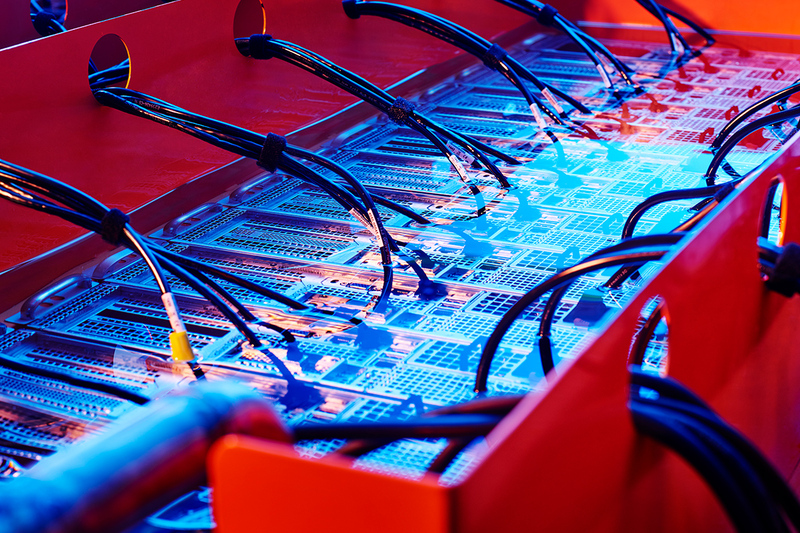 Electrical components last longer due to the lack of oxidation of physical joins, solder joints, wires, and connecting materials. The >1000x thermal effectiveness of the fluid (vs. air) provides far greater thermal stability and prevents runaway heat events. Even if you switch off the chillers, the fluid has such high thermal capacity that temperatures increase gradually, giving far more time to react. In our experience, fluid-immersed computers have a much higher mean time to failure, considerably reducing maintenance costs and expensive down-time. Orange is the new green. Find out more.